For most, saving money is easier said than done though. Considering that the average person is saving less than they want to, many probably need to be more creative with how they go about saving money. 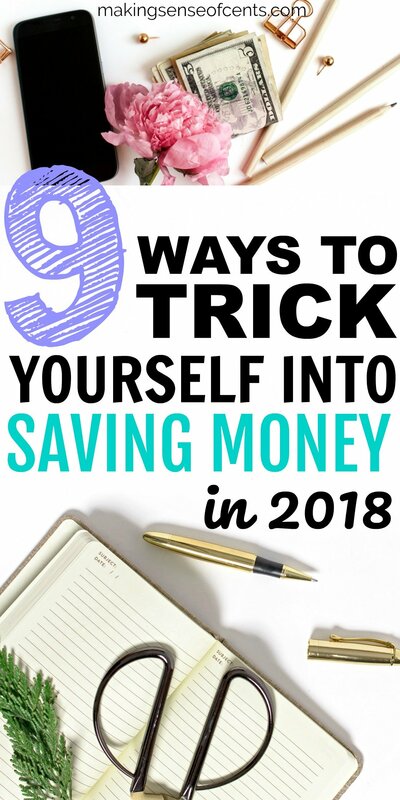 By tricking yourself into saving money, you may be able to get yourself out of the financial rut you are in and start improving your financial situation. No matter how great you are at saving money, by taking part in some of the tactics below you may be able to save even more. I’m not the greatest when it comes to saving, so I often have to be a little creative so that I don’t fall off track too often. Whether you are just trying to save more money in general or if you have your heart set on a certain purchase, below are my tips for saving money. The very first thing you should think about doing if you want to learn how to save money by tricking yourself is to pay yourself first. Each time you receive a paycheck, you should put a certain amount directly in savings first. Treating savings as though it’s another bill instead of just saving whatever you have left at the end of the month can help you save more money. This is because you will have less money to work with each month and you will think about each purchase you make a little more carefully. 2. Wait to make a purchase. Before you buy something, you may want to think about it for a day or two, or even longer. This can help prevent any second guesses that you may have if you instead jumped on a purchase too quickly. If you don’t think you can bring yourself to not buy something, you may also think about leaving your wallet at home when you go shopping so that you are forced to think about any purchases you want to make. You could use this trick when thinking about buying a particular article of clothing, a new car, and so on. By waiting to make a purchase you will most likely eliminate a lot of unneeded spending. I do this nearly every time I want to buy something that I didn’t originally plan for. Whenever I take part in this trick, I usually never go back for the item! This is partly due to laziness, but that’s still good for me. Even though I don’t use cash a lot, I still like to keep my change when I can. Whenever you receive change after making a purchase, put it into a coin jar and cash it out once it’s full. If you don’t usually pay with cash, you can always see if your bank will round up your purchases. Many banks do this nowadays and you may be able to save up a nice chunk of change without even realizing it. 4. Put a certain amount away each day or week. If you find it hard to save money, then you may want to divide it into smaller amounts so that it can seem much more doable. Save $1 (or $10 or whatever you want) each and every day. 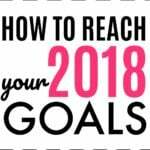 The small amount most likely won’t seem like much but by the end of the year you will have a little bit extra saved with little effort. Start by saving $52 a week and keep going until the very last week when you only have to save $1. By doing this, you will save around $1,400 in one year and it only gets easier as each week passes! Cash allows many to save more money. This is because it’s tangible and you actually have to give up your money when you spend it, unlike with a credit or debit card. If you are having a hard time and want to learn how to save money, then you may want to stick to an all-cash budget and see if that works better for you. This means taking out a certain amount of cash for food, gas, and so on each month. This can also be applied to the “envelope” method where you can only spend the exact amount or less in cash that you take out of your bank account each month. This way you can actually watch how much money you have left over dwindle away so that you analyze each purchase. Each month, Wes and I each receive an “allowance.” We set aside a certain amount of money each month that we can spend on ourselves. 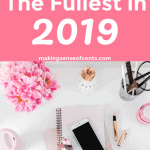 This way we don’t feel bad about spending money on ourselves and also so that we can stay within a realistic budget that stays the same month after month. This tactic helps keep us in line and it also helps us scrutinize what we spend money on since we have a limited amount to spend each month. I also feel that it helps us appreciate what we buy since we have to think harder about what is worth it and what is not to us. Next time you are given a raise at work, you may want to skip the lifestyle inflation that may go along with it and save your raise instead each time you get paid. You most likely won’t miss the money anyways, so why not just save it? This one goes along with #7 above. Each time you make extra money, you may want to try saving the full amount you make each time. It may not be money that you miss anyways, so instead of spending it on something you do not need, instead build up your savings account (or pay off your debt). By quickly transferring any extra money that you make, you prevent yourself from spending it. Saving money isn’t easy for everyone. Eventually, many will get tired, go back to their old ways, and so on. In order to stay motivated, you may need to reward yourself. You may decide to reward yourself in a monetary or non-monetary way. An example of of monetarily rewarding yourself may include treating yourself to your favorite tea from a local coffee shop after you save a certain amount of money. It’s a small purchase so it most likely will not derail you, but it can be a nice way to stay motivated. A non-monetary example may include doing whatever it is that you want to do that you may not have been able to squeeze time in for lately. 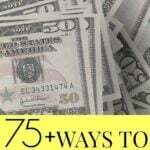 Do you know how to save money? Do you have to trick yourself into saving money? Why or why not? Start a blog. Blogging is how I make a living and just a few years ago I never thought it would be possible. 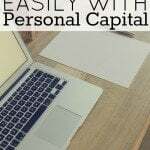 I earn over $30,000 a month online through my blog and you can read more about this in my monthly online income reports. You can create your own blog here with my easy-to-use tutorial. You can start your blog for as low as $2.95 per month plus you get a free domain if you sign-up through my tutorial. Lower your cell phone bill. Instead of paying the $150 or more that you spend on your cell phone bill, there are companies out there like Republic Wireless that offer cell phone service starting at $10. YES, I SAID $10! If you use my Republic Wireless affiliate link, you can change your life and start saving thousands of dollars a year on your cell phone service. I created a full review on Republic Wireless as well if you are interested in hearing more. I’ve been using them for over a year and they are great. Answer surveys. Survey companies I recommend include Survey Junkie, American Consumer Opinion, VIP Voice, Clear Voice Surveys, Product Report Card, Survey Club, ProOpinion, YouGov, Pinecone Research, Opinion Outpost, and Harris Poll Online. They’re free to join and free to use! You get paid to answer surveys and to test products. It’s best to sign up for as many as you can as that way you can receive the most surveys and make the most money. Invest. There are no guarantees when it comes to investing, but you should always start sooner rather than later. If you are looking for a good investing platform, I recommend Motif. Motif Investing allows individuals to invest affordably. This approachable investing platform makes it easy to buy a portfolio of up to 30 stocks, bonds or ETFs for just $9.95 total commission. Plus, you will receive up to $150 for FREE when you use Motif Investing when you sign up under my link. I used to be a real sucker for the spontaneous purchase (#2). Now, I run the prospective purchase through a set of criteria to see if it’s worth the outlay. Nine times out of 10 it isn’t. You have no idea how much I wish I’d employed this tactic years and YEARS ago! Oh well, better late than never, right? I will do that daily saving tip. I think it is doable and even if it is just £1/day that I save, it is still cash to spend for Christmas at the end of the year, instead of using my credit card to buy presents or for whatever expenses we have during that particularly expensive time of the year. Thanks for the tip! Great tips Michelle! I find that waiting to make purchases is a surefire way for me to save a ton of money. I try to put off unnecessary purchases for at least 24 hours, if not 48. Usually by the time my “wait period” is over, I’ve completely forgotten about the item I initially wanted. Your #1 tip is exactly what we do and is how we are able to save so much. I set a certain amount of money I need to invest each month and make it as important in paying as is paying my mortgage. “Paying myself first” is my trick. When you save and pay yourself first, you’re forced to make a life with the rest. As long as you can keep it up (make your savings automatic, maybe), this is a fool-proof way to meet your savings goals. Great tips! I feel like I save enough my automating my deposits to my savings account and waiting to make purchases but deep down I feel like I could be saving a little more and I’ve been interested to see if/how Digit would help me save more. Yes, check out Digit! I’ll have a review on it next Friday. Great tips! We also treat saving like a bill. One way that I waive off impulse purchases is that I have set up a few rules for myself. -NEVER buy anything that is not on the list. If I see something that I “need” that is not on the list I write it on the next page of my notebook (for next week’s list). -Only shop once a week. Usually this gives me enough of a waiting period that the NEEDED item was really not necessary. We are motivated to save by watching the balances grow. I keep a spreadsheet that I update every Friday morning when I balance the books. We can see how far we have come. Yes, I try to avoid stores altogether by shopping less. It really helps! Great tips! I’ve been paying myself first since I got my first job and it’s kept me in check ever since. My method of saving money is kind of old-school — I used to belong to a bank that still has passbook savings accounts. Absolutely no electronic access or easy withdrawals here! If I wanted my money I had to physically take the passbook into the branch to get it. It was just that much harder to access my funds. The only downside was that I also had to physically enter the bank to deposit my money, but it was still my favorite way to trick myself into not touching my savings. I know how to save money, the problem comes into having money to actually save. I’m trying a few things out such as signing up for Digit and sending $25/week to a savings account outside of my normal bank. Either than that, just trying to find other ways to make money. My first endeaver is selling my clothes, and I’m looking for a virtual assistant job. I might have one, I’m just waiting for more details. Only 10 hours a week, but the pay is good at $12/hr with the possibility of more hours in the future. I’ll take that if I get it! Good tips! I use cash for most of my spending so I can keep it under control. I also always deposit into my EF on the first of each month (right after I get paid). Great list Michelle. 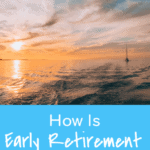 I get pretty predictable raises every year in my industry, so saving that extra money has been key for me. I just funnel that money into my retirement account. Otherwise I would just be taxed more and end up spending that money anyway if it stayed in my savings account. I love the idea of paying yourself first and also waiting to make purchases. We do both of these and find that we save ton. Usually the item we think we “need” turns out to be a luxury item that we are just fine without it. When we save money by coupon or sale or whatever, I come home and transfer the difference from the main account into a saved savings account. I also put in money that we now save by not having Dish. It adds up pretty quickly. #8 seems like the tip of the year. For me to save money I had to start making extra income. If it wasn’t for the side hustle money I would be in a hole. I think of money as freedom. I’ll gladly trade buying a less expensive car for more freedom. Yes, I think of money as freedom as well. These are great ideas! I agree that treating savings like a bill is a great way to force yourself into saving money. I am definitely guilty of not following #5, using cash over a debit or credit card really makes you think about every purchase and whether you really want to part with that hard earned money. Pocketing your raises is one thing we do to save more money which gets automatically invested. I love using little tricks like these to save money. I use several of these myself. Another one of my favorite tricks is to always save $5 bills. It’s a small enough amount that I don’t miss it, but big enough to add up fairly quickly! I love this list! I feel like sometimes I’m just inching along when I do one of these steps (like saving my coins). But then I take our coin jar to the bank and we spend it on something special. For example, our son and our nephew both turned 1 this month, so we used the money to buy gifts to celebrate them. That makes the “trudging along” so much more meaningful! It feels like those tricks are really familiar. LOL. Honestly, the one that definitely tricks me is that I wait for a purchase. Doing this makes me realize that I most of the time do need the products or services. Nice tips Michelle. Great advice! We pay ourselves first, put our raises/tax returns into savings, save our change and have done side hustles. We just met our goal of 4 months expenses in an emergency fund and our new goal is to save up money for a trip to Europe. We have found having specific savings goals keeps us motivated. Automatic transfers into savings is key for me! We actually combined your #5 and #6… We do a cash budget for anything non essential which forces us to spend only a certain amount. Once it’s gone its gone, plus we don’t feel bad about buying coffee or going out to eat, as long as we have the cash. This also allows us to budget very strictly elsehwere so we can save half of our income. Nice post, thanks for sharing. #1 is huge! I’m so accustomed to having money come right out of my direct deposit and go into my checking account. I live on less an guarantee that I am saving money. #2 is also big. We buy based on emotion and then when the logical side of our brains kick in we have buyers remorse. The best way to avoid this is to wait to make purchases. Thank you for sharing these useful tips. Paying myself first was one of the biggest challenge I faced until I changed my mindset to seeing it as paying a bill. This has really helped me saved significant amount, I never thought possible. Having some savings tucked away really takes out some unnecessary money worries indeed.